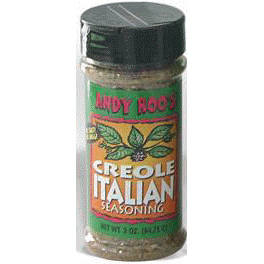 Try it in all your favorite Italian recipes! Recipe idea: In skillet, saute 1 chopped medium onion, 1/2 chopped bell pepper. 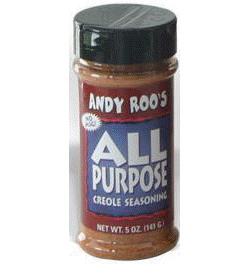 Add two 15oz cans tomato sauce, 1 small can tomato paste, 4-6 cups water and 2 tablespoons ANDY ROO’S CREOLE ITALIAN SEASONING. Stir/blend well. Simmer on medium heat until sauce thickens. 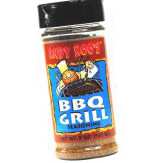 Add salt and pepper as desired. 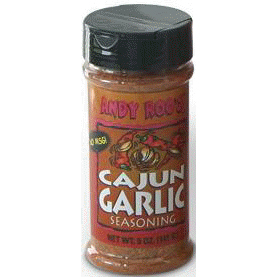 Ingredients: parsley, onion, garlic, rosemary, basil, oregano, cayenne pepper and other herbs and spices. No salt or MSG.